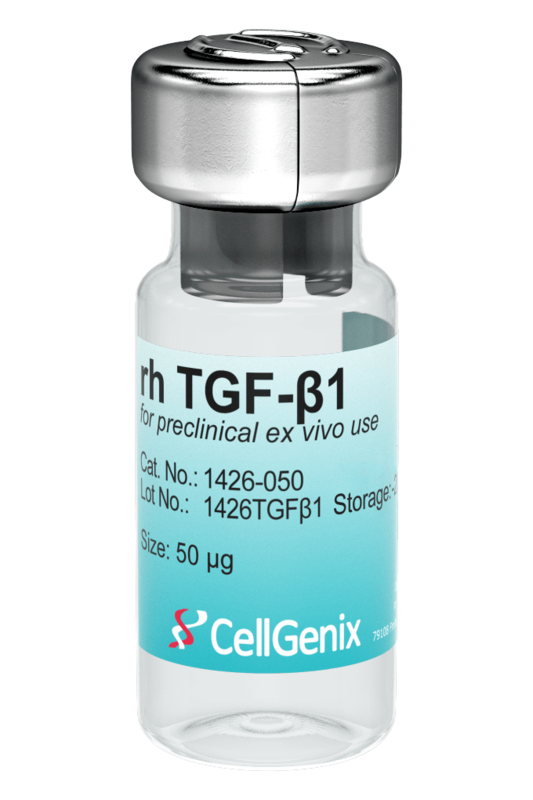 CellGenix Recombinant Human TGF-β1 reliably promotes the expansion of induced pluripotent stem cells, embryonic stem cellsas well as mesenchymal stem cells. It also stimulates the differentiation of T cells into regulatory T cells and the expansion of regulatory T cells. Proper glycosylation of TGF-ß1 is of significant importance for the protein’s processing and functional expression – one of the reasons why production of this growth factor and certain complexly glycosylated proteins is not feasible using conventional bacterial expression systems.  Transforming Growth Factor-beta 1 (TGF-β1) is a member of the growth factor beta superfamily and plays a role in various cellular functions like cell differentiation, proliferation and apoptosis. It is secreted by most immune cells and especially interacts with T cells, B cells, macrophages and monocytes. 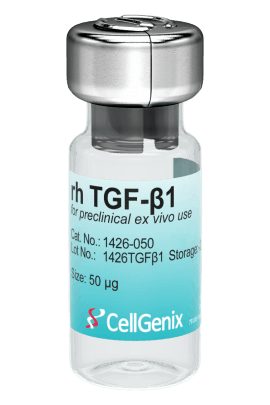 CellGenix Recombinant Human TGF-β1 is produced using a human amniocyte cell line (CAP®). By using the CAP® technology we are able to produce this difficult to express glyco-protein with authentic human post-translational modifications. These human post-translational modifications are not accessible by bacterial expression. The production cell line was derived from an extensively characterized human amniocyte cell line (CAP®). Intended use Intended for preclinical ex vivo use. Not intended for therapeutic use. 1 May contain up to 2% of Insulin-like growth factor-binding protein 2 (IGFBP-2) as a host cell-derived impurity. Recommended in sterile water to a final concentration of 250 µg/ml. Ambient temperature. Please refer to Technote to learn more about our shipment validation procedure. 3 years from date of shipment. Store lyophilized cytokine at -20°C to -80°C. I agree that the data I provide will be collected and stored electronically. The data will be encrypted before transmission and will only be used to process and answer my request. Would you like to be the first to receive the latest news, technotes, product updates and tips from CellGenix? You can unsubscribe at any time by sending an email to info@cellgenix.com or by using the unsubscribe option at the bottom of our newsletters and emails. Please select your product and enter your Lot Number. 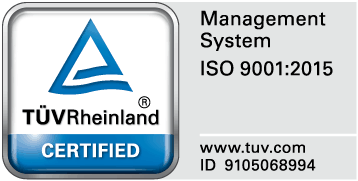 Please leave your contact details so we can send the Certificate of Analysis to your email. Please select your countryAfghanistanAlbaniaAlgeriaAmerican SamoaAndorraAngolaAnguillaAntarcticaAntigua and BarbudaArgentinaArmeniaArubaAustraliaAustriaAzerbaijanBahamasBahrainBangladeshBarbadosBelarusBelgiumBelizeBeninBermudaBhutanBoliviaBonaireBosnia and HerzegovinaBotswanaBouvet IslandBrazilBritish Indian Ocean TerritoryBritish Virgin IslandsBruneiBulgariaBurkina FasoBurundiCambodiaCameroonCanadaCape VerdeCayman IslandsCentral African RepublicChadChileChinaChristmas IslandCocos [Keeling] IslandsColombiaComorosCook IslandsCosta RicaCroatiaCubaCuracaoCyprusCzechiaDemocratic Republic of the CongoDenmarkDjiboutiDominicaDominican RepublicEast TimorEcuadorEgyptEl SalvadorEquatorial GuineaEritreaEstoniaEthiopiaFalkland IslandsFaroe IslandsFijiFinlandFranceFrench GuianaFrench PolynesiaFrench Southern TerritoriesGabonGambiaGeorgiaGermanyGhanaGibraltarGreeceGreenlandGrenadaGuadeloupeGuamGuatemalaGuernseyGuineaGuinea-BissauGuyanaHaitiHeard Island and McDonald IslandsHondurasHong KongHungaryIcelandIndiaIndonesiaIranIraqIrelandIsle of ManIsraelItalyIvory CoastJamaicaJapanJerseyJordanKazakhstanKenyaKiribatiKosovoKuwaitKyrgyzstanLaosLatviaLebanonLesothoLiberiaLibyaLiechtensteinLithuaniaLuxembourgMacaoMacedoniaMadagascarMalawiMalaysiaMaldivesMaliMaltaMarshall IslandsMartiniqueMauritaniaMauritiusMayotteMexicoMicronesiaMoldovaMonacoMongoliaMontenegroMontserratMoroccoMozambiqueMyanmar [Burma]NamibiaNauruNepalNetherlandsNew CaledoniaNew ZealandNicaraguaNigerNigeriaNiueNorfolk IslandNorth KoreaNorthern Mariana IslandsNorwayOmanPakistanPalauPalestinePanamaPapua New GuineaParaguayPeruPhilippinesPitcairn IslandsPolandPortugalPuerto RicoQatarRepublic of the CongoRomaniaRussiaRwandaRéunionSaint BarthélemySaint HelenaSaint Kitts and NevisSaint LuciaSaint MartinSaint Pierre and MiquelonSaint Vincent and the GrenadinesSamoaSan MarinoSaudi ArabiaSenegalSerbiaSeychellesSierra LeoneSingaporeSint MaartenSlovakiaSloveniaSolomon IslandsSomaliaSouth AfricaSouth Georgia and the South Sandwich IslandsSouth KoreaSouth SudanSpainSri LankaSudanSurinameSvalbard and Jan MayenSwazilandSwedenSwitzerlandSyriaSão Tomé and PríncipeTaiwanTajikistanTanzaniaThailandTogoTokelauTongaTrinidad and TobagoTunisiaTurkeyTurkmenistanTurks and Caicos IslandsTuvaluU.S. Minor Outlying IslandsU.S. Virgin IslandsUgandaUkraineUnited Arab EmiratesUnited KingdomUnited StatesUruguayUzbekistanVanuatuVatican CityVenezuelaVietnamWallis and FutunaWestern SaharaYemenZambiaZimbabweÅland Note: You have to select a country.